Join us for a peaceful relaxing day of Friends, Food and Fun!!!!! We are looking for non-serious players for some peaceful serious fun! Do you already know how to play, want to learn how to play or just want to come and hang out with fellow Rotarians and enjoy the fun and fellowship? – Great! Come and join us! 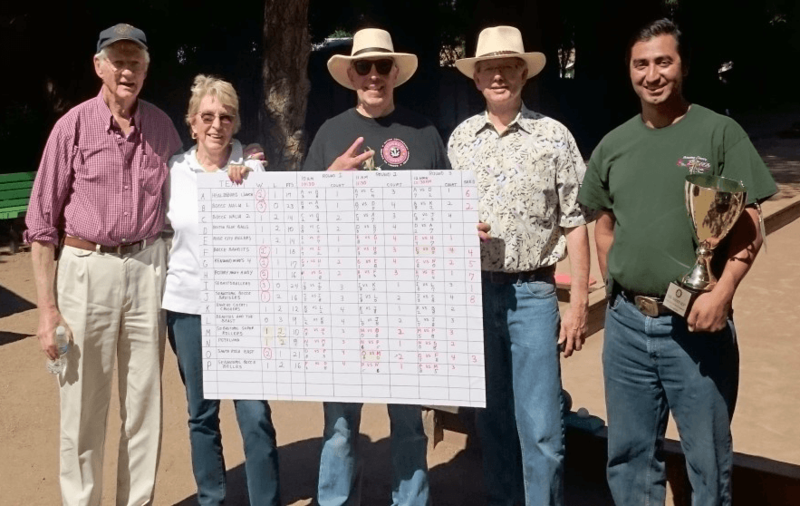 and be named the Sonoma County Rotary Bocce Champions. The Tournament will be held at Juilliard Park Saturday, August 19th, 2017, 9:30 am to 3:30 pm. We will have teams competing for the title and trophy – come with your club team to compete for a chance to take home the title and trophy to proudly display at your meetings. Bocce Ball teams will start playing at 10:00 am and will continue until about 3:00 pm when the playoffs start. This is a just for fun inter Rotary club tournament/BBQ Family Day for the clubs in Sonoma County to get together to have fun. Early registration is encouraged as team spots fill up fast! !